An article in the 19th issue of al-Qaeda in Afghanistan's "Vanguards of Khorasan" magazine urged Muslims to support the Shabaab al-Mujahideen Movement in Somalia and to donate money to the group. This issue was released on jihadist forums on September 11, 2011. Al-Fajr Media Center released the 19th issue of al-Qaeda in Afghanistan’s e-magazine “Vanguards of Khorasan” on jihadist forums on September 11, 2011. Nokhba Jihadi Media, a jihadist media group, published an article written by Hossam Abdul Raouf, the editor-in-chief of al-Qaeda in Afghanistan's e-magazine, "Vanguards of Khorasan." The 24-page article, titled, "The Connections between Jihad and the Contemporary Arab Popular Revolutions," was released on jihadist forums on June 21, 2011. Al-Fajr Media Center released the 18th issue of al-Qaeda in Afghanistan’s e-magazine “Vanguards of Khorasan” on jihadist forums on May 1, 2011. A eulogy for a fighter slain in Afghanistan, Abu Obeidullah al-'Absi (AKA Muhammad bin Muflih al-Nahar al-Rashidi), is featured in the seventeenth issue of al-Qaeda in Afghanistan’s “Vanguards of Khorasan” magazine. Al-Fajr Media Center released the seventeenth issue of “Vanguards of Khorasan,” the e-magazine of al-Qaeda in Afghanistan, on jihadist forums on November 8, 2010. Al-Fajr Media Center released the last writing of Humam al-Balawi (AKA Abu Dujana al-Khorasani) as a supplement to the sixteenth issue of “Vanguards of Khorasan,” the e-magazine of al-Qaeda in Afghanistan. Al-Fajr Media Center released the sixteenth issue of “Vanguards of Khorasan,” the e-magazine of al-Qaeda in Afghanistan, on jihadist forums on February 26, 2010. A Turkish jihadist website, Cihaderi, reported on January 15, 2010 that two Turkish fighters were killed with Mansour al-Shami (AKA Mahmoud Mahdi Zeidan), a contributor to the “Vanguards of Khorasan” magazine of al-Qaeda in Afghanistan. Sheikh Mansour al-Shami, a contributor to the “Vanguards of Khorasan” magazine of al-Qaeda in Afghanistan, was reportedly killed in Pakistan, according to a jihadist on the al-Fallujah and Shamoukh al-Islam forums. 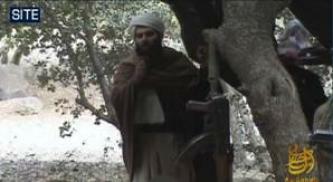 Sheikh Mansour al-Shami, a contributor to the “Vanguards of Khorasan” magazine of al-Qaeda in Afghanistan, appeared for the first time in a video, delivering a sermon for Eid al-Adha 1430. Editors of al-Qaeda in Afghanistan’s “Vanguards of Khorasan” magazine published in its fifteenth issue an interview with a jihadist forum member-turned-fighter. The fifteenth issue of “Vanguards of Khorasan,” a periodic electronic magazine concerning jihad in Afghanistan, was released by al-Fajr Media Center on jihadist forums on September 27, 2009. The fourteenth issue of “Vanguards of Khorasan,” a periodic electronic magazine concerning jihad and mujahideen in Afghanistan, was issued by al-Fajr Media Center on jihadist forums on July 12, 2009. Al-Yaqeen Media Center, a jihadist media group, published its analysis of the introduction from the twelfth issue of “Vanguards of Khorasan,” and made predictions based on its content and a speech of Usama bin Laden. The will of Abu Abdullah al-Shami, one of four escapees from Bagram prison in July 2005, is published in the thirteenth issue of “Vanguards of Khorasan,” that a resurgent Taliban is nearing victory in Afghanistan. Abdullah Saeed, an associate of slain al-Qaeda leader, Abu Laith al-Libi, observes in an article published in the thirteenth issue of “Vanguards of Kharasan,” that a resurgent Taliban is nearing victory in Afghanistan.